A traditional photographer’s vest isn’t that fashionable to the average person. But it is actually a photographer’s best friend during an active shoot where constant movement is necessary. Just imagine hiking up a mountain and having to take off your backpack every now and then because you’re either switching compact flash drives or trying to slap on a specific filter on your camera lens for the right type of shot. A photographer’s vest can conveniently carry those materials which are better stored near your body than inside your camera backpack. This is where the beauty of a vest is appreciated. The Metro Vest by Tenba Gear is a vest which has about 24 separate pockets and compartments which are available for the photographer to use. These spaces can be used for organizing accessories in order to keep your gear at-hand and immediately accessible. This is also designed with the photographer in mind as it is very comfortable and affords the person mobility even when all of the pockets are fully loaded. The vest is composed of 100% cotton and has a garment-washed finish which will essentially allow the photographer to be able to carry a lot without sacrificing comfort. 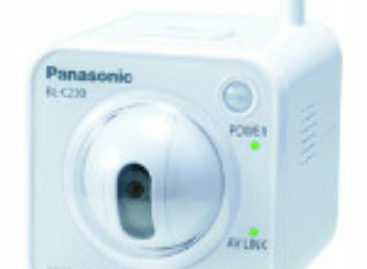 The different mesh panels at the back also provide cooling ventilation for the intense photographer. The vest’s lower portion at the front has two large cargo pockets that are lined with smooth, water-resistant nylon. The different cargo pockets are spacious enough to hold several important photography gear such as a flash, another lens or a compact camera. These main pockets alone are worth the trouble of wearing one as a photographer in motion will not have to worry about missing out on a precious moment just because they had to open their bag just to get a spare battery because their battery ran out on them in the middle of a shoot. The front pocket is suitable for holding a light meter a notebook, voice recorder or another handheld item. The different pockets have several hanging loops in order to access pens, markers, mini flashlights or other small items. 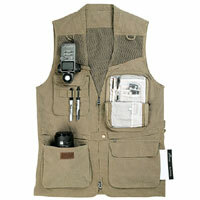 The vest also has pockets which have interior organizers for the different media cards, batteries and more. The Velcro retaining strips are designed to secure a camera strap in order to keep it from swinging excessively when the photographer is moving. The back part of the vest enables the photographer to temporarily store a monopod. There are pockets which can be used for cellphones and camera rain cover. There are simply so many options that a photographer can do with this Tenba Metro Vest and it is certainly a very useful piece of equipment that a photographer can have especially if he or she is on the move. Whatever the photographer needs to carry, he can most probably store it in one of the different pockets of this vest. Then he or she wouldn’t have to worry about not having that memory card or battery at a particular moment because this vest solves that problem. Where is this vest available?